KAMPALA – A total of 49 police officers have been suspended for deliberately refusing to attend a refresher course. 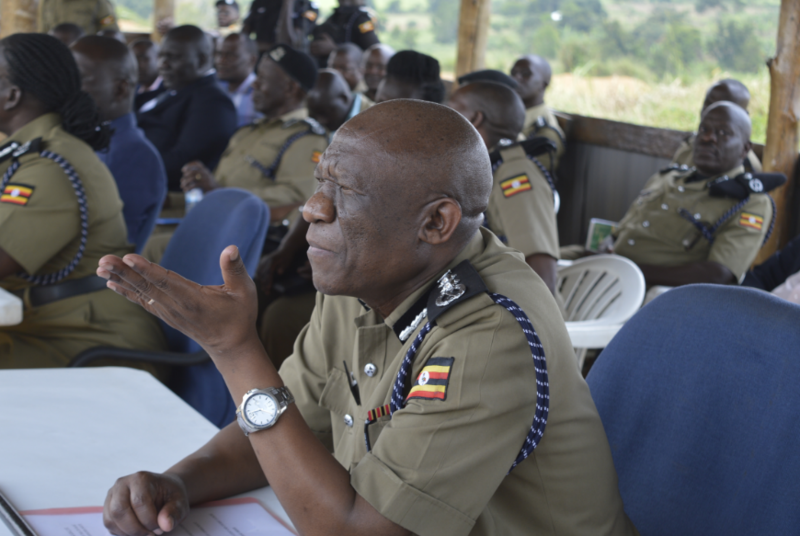 In December, this website reported that 120 police officers had been selected to attend the course at Police Training School (PTS), Kabalye in Masindi District. The objective of the course was to, among others, remind the selected officers of the force’s operation procedures since some of them have reportedly been accused of involving themselves in activities tainting its image. However, it has emerged that the police human resource director, Mr Moses Balimwoyo has ordered the District and Division police commanders not to assign the affected officers for refusing to attend the training. “You are directed not to deploy the following personnel having refused to proceed on TOT [training of trainers] course at PTS Kabalye,” reads Mr Balimwoyo’s January 22 directive. “Deliver their personal files to police headquarters to be acknowledged by the director human resource administration. Unit commanders who will defy this order will equally be charged,” he adds. The affected officers include Assistant Superintendents of Police, Inspectors of Police, Assistant Inspectors of Police, Sergeants, Corporals (CPLs) and Police Constables. The suspended ASPs include Grace Azira from Kabalagala, Peter Oyesigyre from Kiruhura and Dickson Odongo. The IPs include Eldad Mugisha from CPS, Gastone Twinamasiko from Buikwe, Enos Wandibah from Masaka, Emmanuel Luwuliza from Counterterrorism (CT) and Dan Mpadde from Kawempe. The AIPs include Gordon Kato from FFU, Samuel Masaba from Kaliro, Charles Chuma from Kabarole, Moses Acellam from Kyegegwa, Caroline Alumo from Jinja, and Ambrose Byamigisha. Others are; George Nyende from Kiboga, Julius Obura from Mukono, Patrick Oneka from CPS Kampala, Charles Emadu from Sironko, Charles Kirunda and Moses Sekasi from Wandegeya, Fredrick Waswa from Kaliro and Moses Bongo from Kabalagala. The SGTs on suspension include James Bamwesigye from CID Kibuli, Charles Mugerwa from CPS, Eliaza Oucha from Kaliro, Wilson Tegule from Kabalagala, Stuart Kanzira from Bushenyi, Stephen Mbusa from CT and Charles Buyinza from Lira. CPLs include Moses Dramadri from Parliament, Paul Hanukah from Iganga, Stephen Opoka from VPPU, John Paul Ipurale from Sironko, Sezi Bwambale from Kyenjojo, Joseph Angudezu from Kakira, Myres Kamukama from Rubanda, Samson Kapere from Kabarole, Denis Wandera from Nsangi and Christopher Olua from Iganga.